THIS EVENT IS SOLD OUT! Registration is closed. Join our mailing list to be the first notified about our next recruiting conference in 2018. 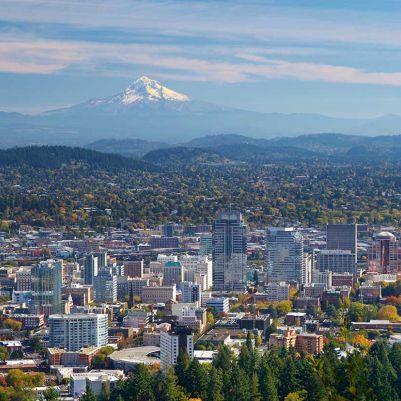 Join 200+ of your peers from leading employers throughout the Pacific Northwest for the Oregon Recruiters Spring Recruiting conference! We have a great lineup and 1/2 day of professional development and peer networking planned. Each conference registration includes 1 paid parking pass, 1 ticket to attend the Oregon Recruiters conference, exclusive #orec swag, the best recruiter networking on the planet, continental breakfast and beverages in the morning, light snacks and beverages during the breaks, WiFi access and your chance to win one of many prize drawings. Stacy Zapar is an 18-year recruiting veteran and Founder of Tenfold, a recruiting consultancy and training firm where she leads the employer brand, social recruiting and sourcing strategies for clients such as TripAdvisor, Booking.com and Zappos. She is also the Most Connected Woman on LinkedIn since 2008, out of 338M+ members worldwide. Stacy was named 2015 Trendsetter of the Year for Talent Acquisition by SHRM’s HR Magazine, is an international keynote speaker and has been featured in the Washington Post, Forbes, Entrepreneur, Fortune and many other publications. Her own blog has more than one million views. She is also an advisory board member for a number of HR technology companies. Feel free to connect with Stacy on LinkedIn and Twitter at @StacyZapar. Carmen Hudson wears several hats. She is currently Principal Consultant, Recruiting Toolbox. She is also co-founder of a national conference for tech recruiters, Talent42 and founder of RecruiterHunt.com, a curation site for recruiters. Carmen draws from many years of corporate recruiting experience, with a strong focus on helping organizations attract, source and recruit top talent. Her corporate experience includes Yahoo!, where she was Senior Manager, Talent Acquisition. At Yahoo! she led the strategic sourcing team, revitalizing the employee referral program and Yahoo’s employer brand. The team was awarded a coveted Yahoo! Superstar Award, an ERE Excellence award and advertising industry awards. Prior to joining Yahoo!, she was manager, Global Strategic Sourcing for Starbucks Coffee Corporation, where she developed sourcing strategies and recommended resources and tactics to support U.S. retail management hiring. She has also held senior talent acquisition roles at Microsoft, Amazon.com and Capital One. True to her passion, she blogs and tweets about the recruiting industry, social media, job search and recruiting technology. If you've ever lived through an ATS implementation, you know that technology won't solve all of your recruiting problems. That doesn't mean you should examine every part of your recruiting process to determine if you can save time or increase results through automation. In this session, we'll explore new and existing technologies and discuss the pros and cons of introducing fancy new solutions and products into your talent acquisition process.